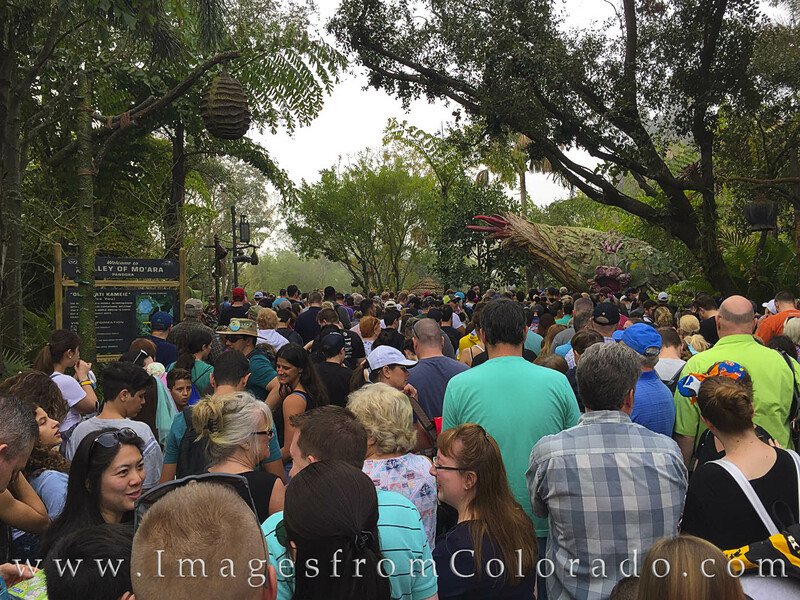 The crowds to see Pandora thick and ride the Flight of Passage, Disney's new Avatar ride, were several hours long. Luckily, we used our Fast-Passes to skip the 3 hour wait. This image shows the entrance into the world of the Avatar.